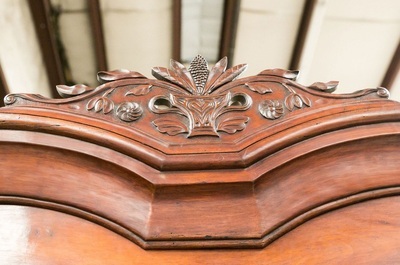 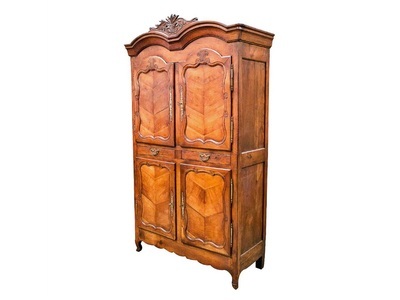 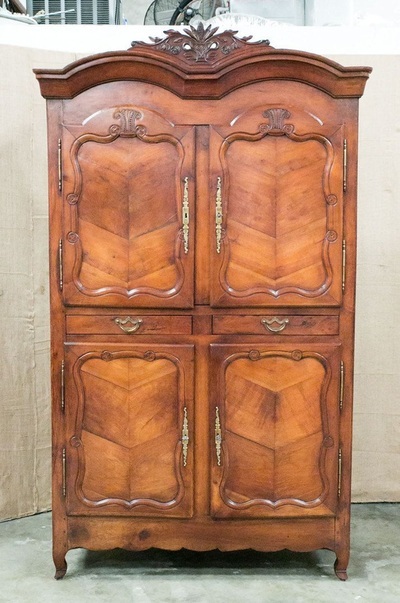 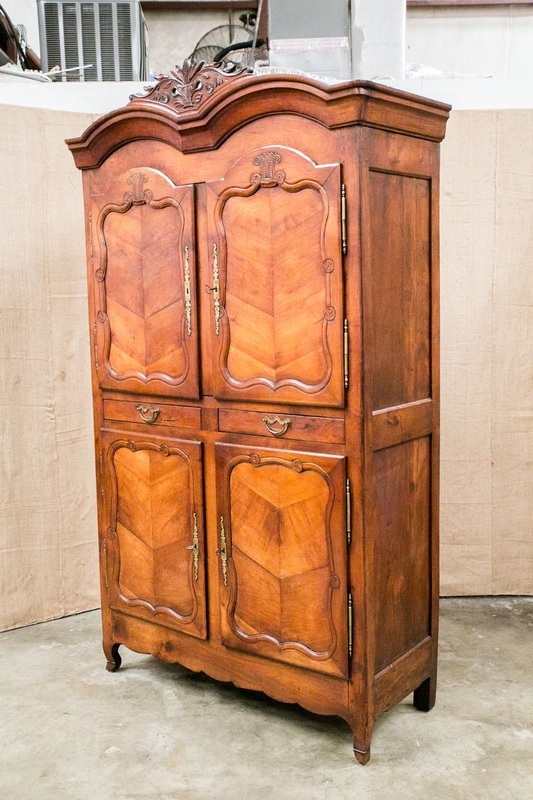 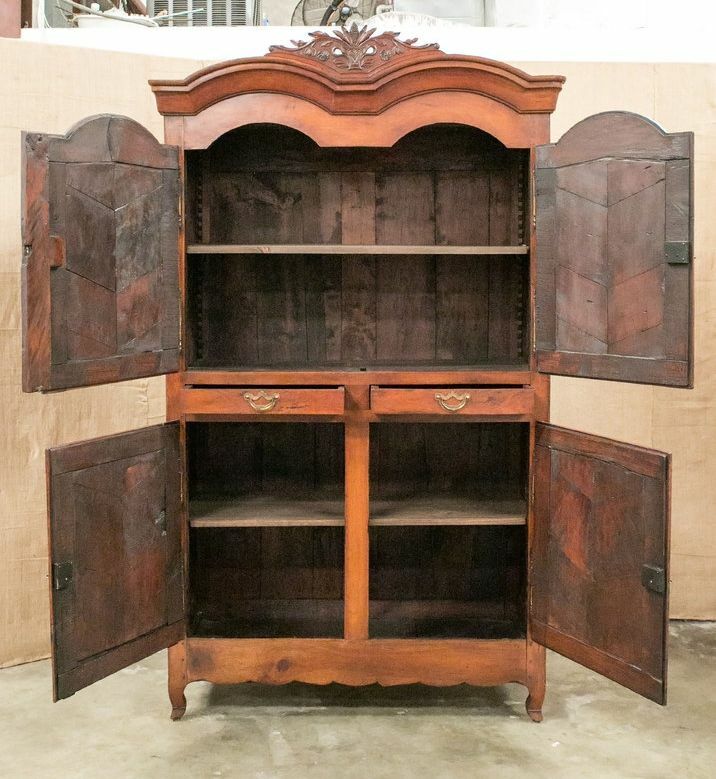 ﻿﻿﻿﻿Louis XV armoire handcrafted between 1750 and 1760 in Rennes of solid wild cherrywood. 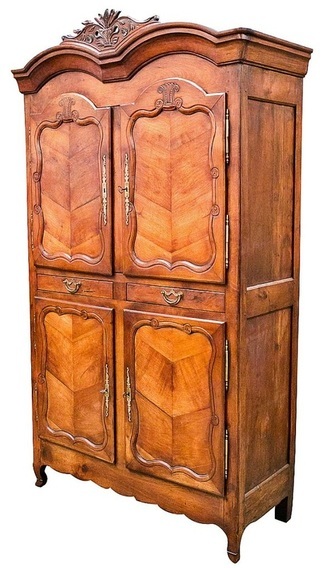 Double chapeau de gendarme cornice topped with a carved urn filled with stylized plumes of feathers, blossoms, leaves and tendrils above four doors divided horizontally at the center by two drawers. 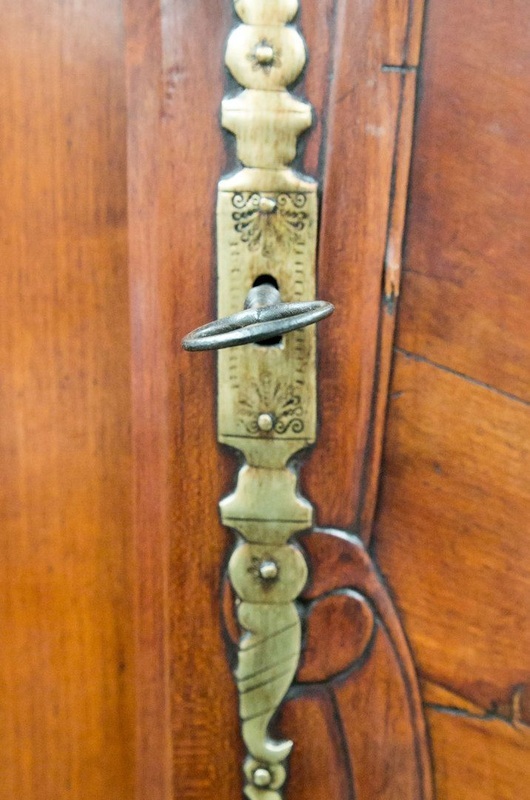 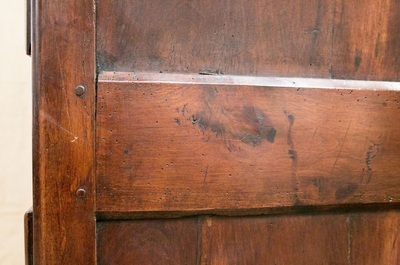 Each door features a fougère (fern) patterned central panel. 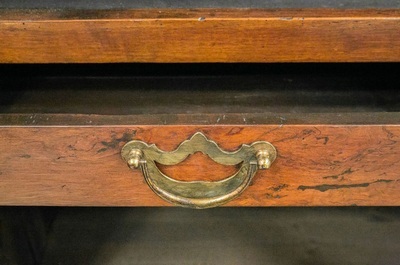 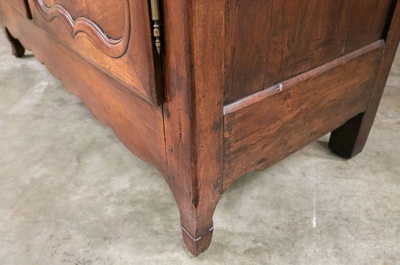 Scalloped apron rests on short cabriole legs ending in pieds de biche (hoof feet). 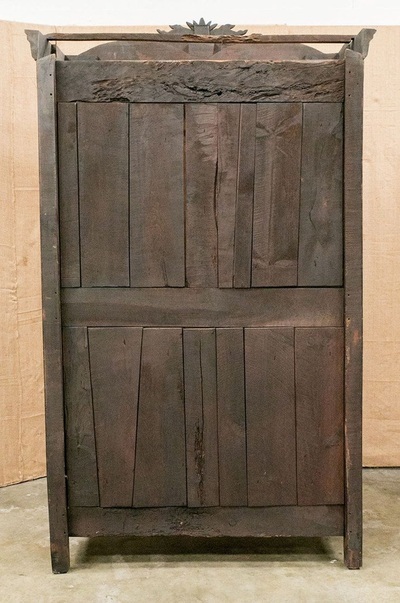 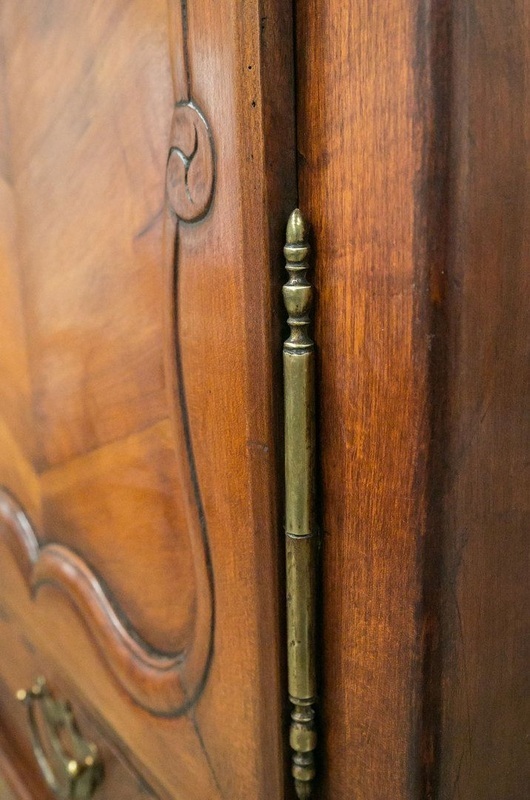 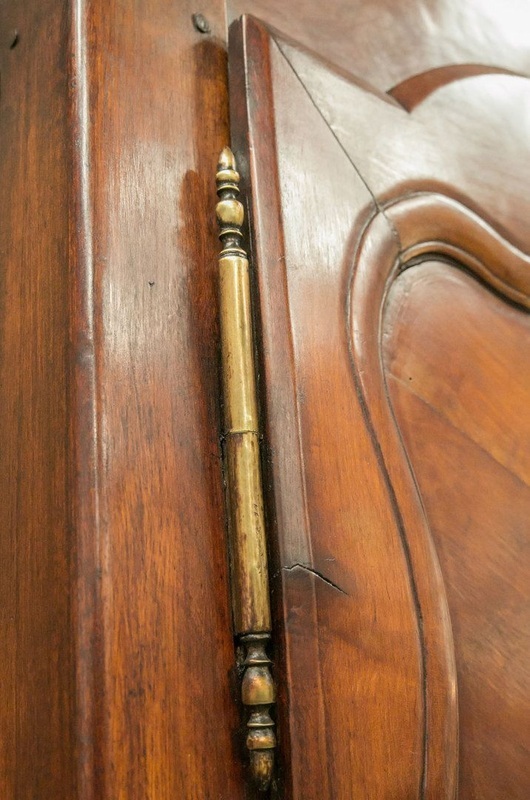 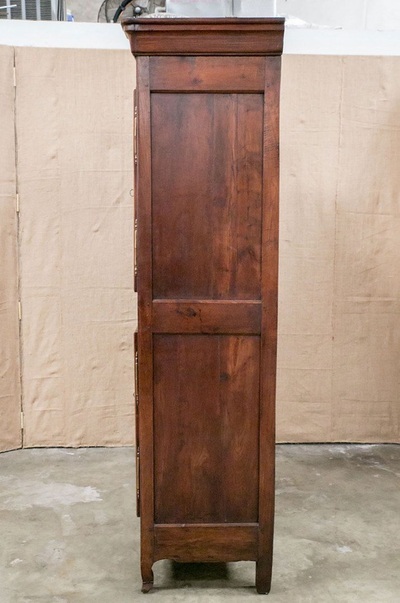 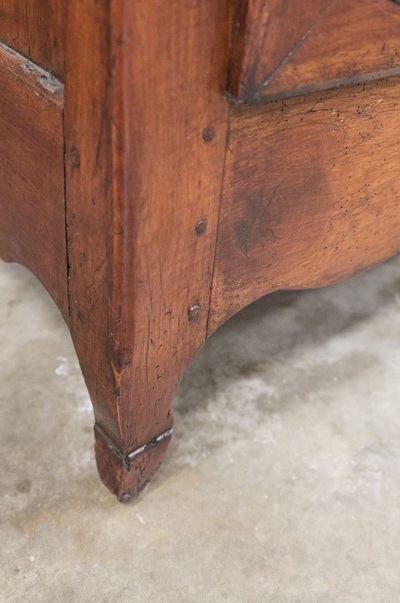 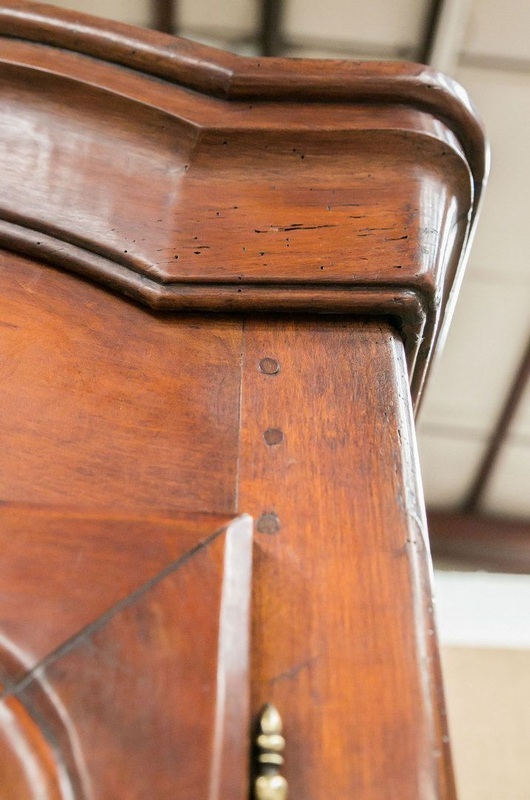 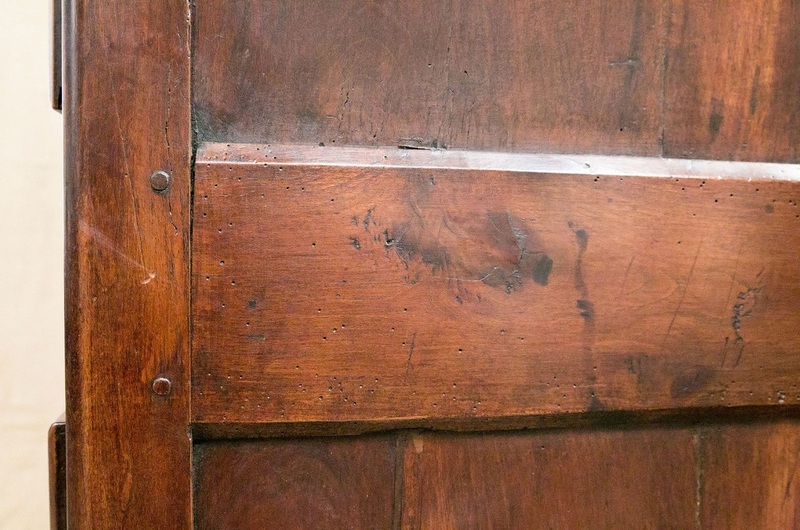 Many believe the finest Country French armoires were made around Rennes in Brittany, where skilled carvers often signed and dated their pieces on the center post or dormant attached to the left hand door. 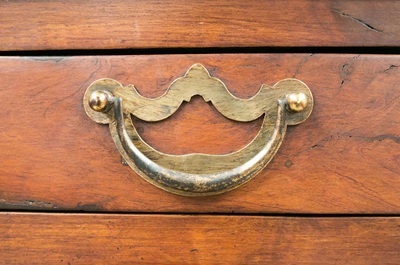 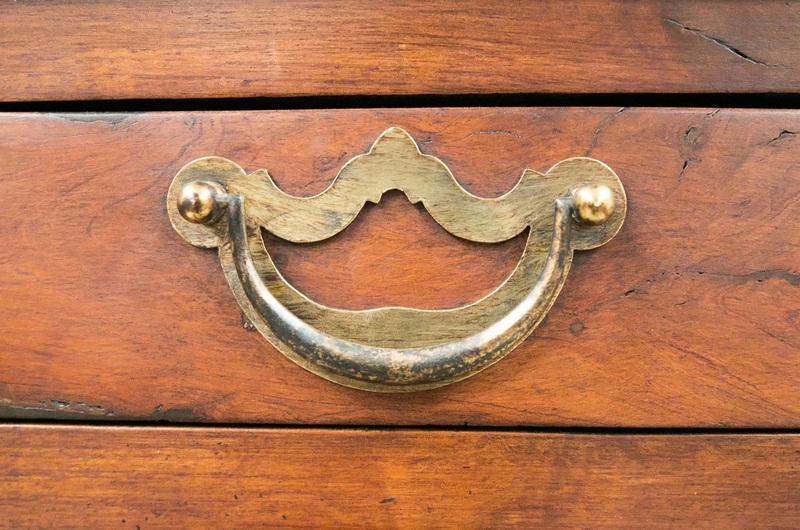 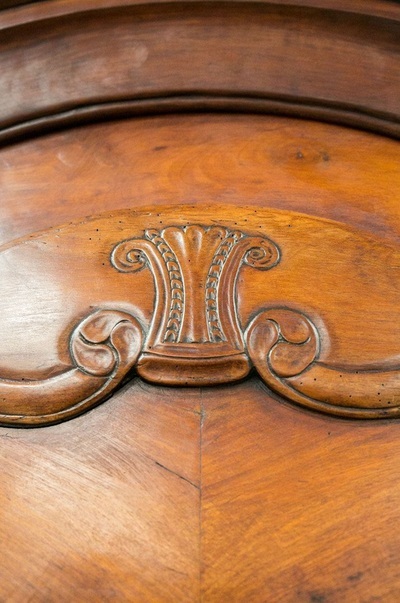 There's no other region in France where the signature on the furniture is so prevalent. The double chapeau de gendarme cornice and the delightfully naïve and whimsical ornamentation of stylized flowers, branches, interlacing vines and shells interspersed with c-scrolls in symmetrical patterns also readily identify the work of these country cabinetmakers in and around Rennes. w - 55" with crown; body w - 51"